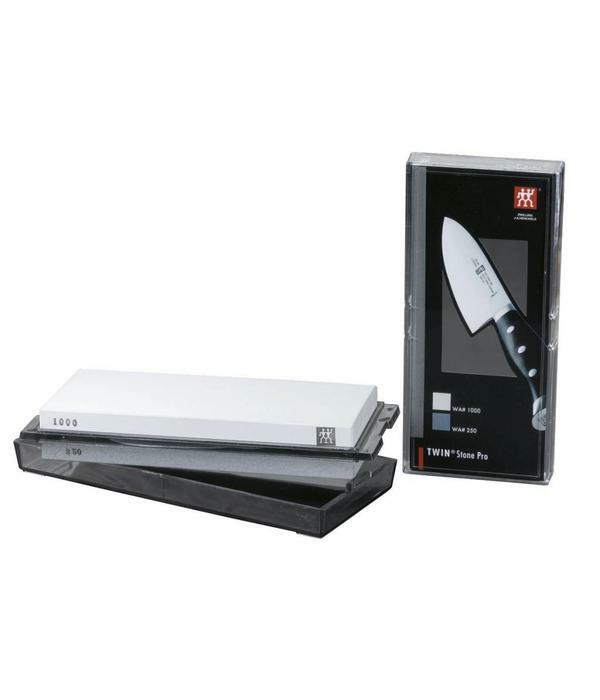 A sharpening stone, or whet stone gives you optimal control.Sharpening stones come in a variety of roughness or grain. The coarser the finish, the more abrasive it is. For regular sharpening, the Twin Stone Pro is the right choice. Use and Care : To clean your whet stone, wipe it down once you are done using it, do not put the stone in the dishwasher.